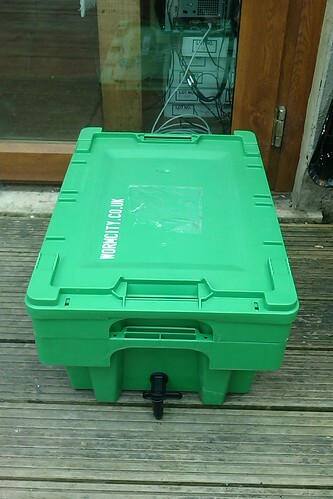 A friend bought us a wormery as our wedding present and it’s just arrived. 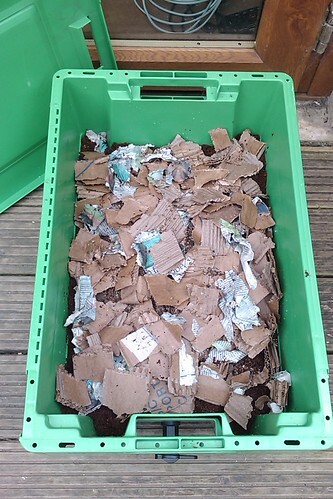 Owning a wormery wont reduce the amount of food waste we send to landfill because we already send most of our food waste to our compost heap or dog. But owning a wormery will hopefully mean that we can reduce (perhaps to zero) the amount of plant food and potting compost we buy (which isn’t much). Plus, who doesn’t love worms? Eventually I’ll build a shelf above the compost bin to store the wormery.